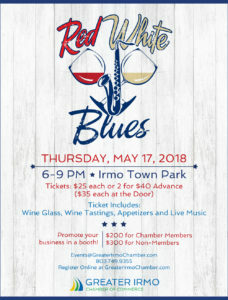 The Town of Irmo and the Greater Irmo Chamber of Commerce would like to welcome you to our community. You are moving, visiting or meeting at one of the most progressive, exciting, and fun places in America. The friendly attitude of our people, beautiful Lake Murray, and the many great entertainment opportunities that await you and your family will make you love this area the way we do! School District 5 of Lexington and Richland Counties has earned a reputation as the top school district in South Carolina and one of the finest in the nation. Our shopping is second to none, ranging from the small town atmosphere and personal service of our outstanding merchants to the sophisticated nationally known stores with vast selections and friendly helpful personnel. Lake Murray provides a recreational paradise for the Irmo Community. Irmo is truly "The Gateway to Lake Murray." Irmo was incorporated in 1890 and flourished along the tracks of Columbia, Newberry and Laurens railroads on the high ridge between the river. 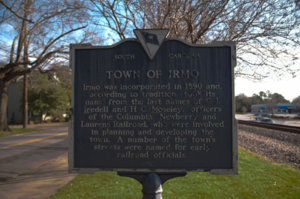 The name of Irmo was derived from the names of two railroad officials, C.J. Iredell and H.C. Moseley. Irmo is divided by Richland County on the northwest and Lexington County on the southeast. Located off the shore of Lake Murray and only ten miles from Columbia, the capital of South Carolina, Irmo was a sleepy little town of 500 people in the early 1970's. Today with more than 12,000 residents, Irmo is one of the most sought after places to live. Greater Irmo Chamber of Commerce provides reference and relocation information for newcomers and visitors. 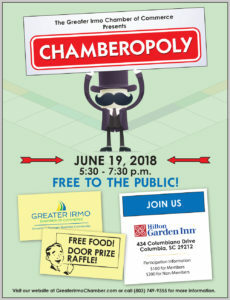 The information in the following pages will help you settle in and enjoy the good life in Irmo.We invite you to join our Greater Irmo Chamber of Commerce, whether as a business or individual. Our Welcome Center is open to provide information and literature to make your visit or move easier. FREE Irmo area maps are available. While you are here, visit our Irmo Hall of History, which is housed in the Chamber Office. Again, WELCOME! We are glad to have you as part of our Community! Use links below to discover more about what amenities Irmo has to offer! Lake Murray, at the time of construction, had the largest earthen dam ever built - completed in 1930. Shoreline: 620 miles (GSI survey in 2004), Acreage: 50,000 (78 square miles), Width: 14 miles maximum, Length: 41 miles maximum, Full: 360 ft, Capacity: 754 billion gallons, Dam Height: 215 ft., Intake Towers Height: 223 ft., Named for: Williams S. Murray, engineer. For more information call the SCE&G Lake Murray hotline (800) 830-5253. The Irmo Chapin Recreation Commission offers the following programs and activities at our parks: After School Programs - Athletics - Camps - Team Building - Educational Programs - Environmental Education - Health & Wellness - Facility Rentals - Senior Services - Therapeutic Recreation, The Arts - Travel - Special Events. For more information, visit our web site at www.icrc.net. Saluda Shoals Park is located along the banks of the beautiful Saluda River. This 300-acre regional park offers Saluda Splash, a zero depth water playground, canoe and kayak rentals, paved/unpaved trails for hiking, biking and horseback riding, picnic shelters, a state-of-the-art conference center and more! Call (803) 731-5208 for more information. Saluda Shoals Park is located at 5605 Bush River Rd. Take I-26 West toward Spartanburg, exit Piney Grove Rd and turn left. Proceed 1.5 miles to St. Andrews Rd, turn right, then left at the first traffic light, Saluda Shoals Park will be 1.5 miles on your left. Come out to Saluda Shoals Park for an exciting guided canoe trip on the Saluda River and see nature at its best. Individuals and families with children age 6 and up are welcome and trips must be reserved in advance. Return shuttle service to the park is provided. Daily and hourly canoe and kayak rentals are also available. Call 731-5208 for more information. Learn how to horseback ride or simply improve your skills. No previous experience is necessary but riders must be at least 8 years of age to participate. Everyone is required to wear a helmet (provided). Trail rides last about one hour and include a brief instructional period. Riders should wear long pants and boots or sturdy lace-up shoes. Ages 8-older. Please call the Saluda Shoals Park Environmental Center for more information at (803) 213-2053. Horseback trail passes are also available for riders with their own horses. Call 731-5208 for details. Riverbanks Zoo and Garden is home to more than 2,000 magnificent and fascinating animals and one of the nation's most beautiful and inspiring botanical gardens. More than 350 species from around the world are represented at the Zoo. A visit to the Zoo will play host to an array of wild adventures - from a diving expedition on a Pacific coral reef to a safari through the plains of Africa to an interactive Outback encounter with a flock of sociable lorikeets. Whether it's a spectacular bloom, a mass of color or an unusual plant structure, there's always something growing on at Riverbanks Botanical Garden! Hailed by Horticulture magazine as one of 10 gardens that inspire and by HGTV as one of 20 great public gardens across America, Riverbanks Botanical Garden boasts 70 acres of unparalleled beauty. Dramatic and themed gardens showcase more than 4,200 species of native and exotic plants, providing a living classroom for gardeners and non-gardeners alike and an ideal location for weddings and special events. In contrast, natural river views and valley overlooks in the adjacent woodlands blaze a scenic trail to historic ruins from the 1800s. For more than 30 years, Riverbanks has provided individuals, families and groups with a common place to connect with and learn about the world's wildlife and wild places. The lush 170-acre site features dynamic natural habitat exhibits, scenic river views, spectacular valley overlooks and significant historic landmarks. Twice awarded the Governor's Cup for South Carolina's Most Outstanding Tourist Attraction, Riverbanks is the premier family choice for education and recreation in the Southeast. Riverbanks Sales Department offers an array of opportunities for discount tickets, company picnics, private facility rentals, and other exciting ways to reward loyal employees and clients. 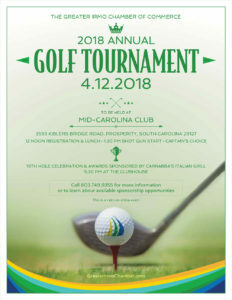 Go online www.riverbanks.org or call 779-8717 x1254 for more information. 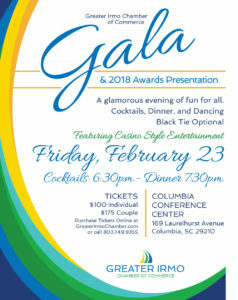 You can also purchase discounted tickets from Greater Irmo Chamber of Commerce. SCE&G provides numerous public access areas.